New buttons on the login section which allow users to login through their social network provider. Selecting a social network provider redirects to their own login process. Once the user logged in, they're redirected back to your short url site with a logged in session. If they do not have an account, one will be automatically created. Aswell as the login slider, buttons are also added on the login page to select social network. 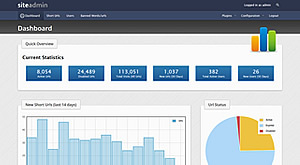 Once the user is logged in, their social networking thumbnail is displayed at the top right of the page. The ability to globally enable or disable the plugin. Enable or disable each individual social network login. The API details for each social network. Full information regarding how to generate an API key/secret for each social network provider. Pay your users for sending traffic to their short urls like adf.ly does. Pay for each click, set rates by country and ignore duplicate IPs. Allow your short url site users to login using Facebook, Twitter, LinkedIn, Google, AOL, and more. 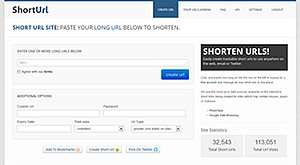 Convert your YOURLS short url script into a Wurlie url shortener site. Convert your Gem Pixel url shortener script into a Wurlie url shortening site. Convert your Plus PHP short url script into a Wurlie url shortener site.